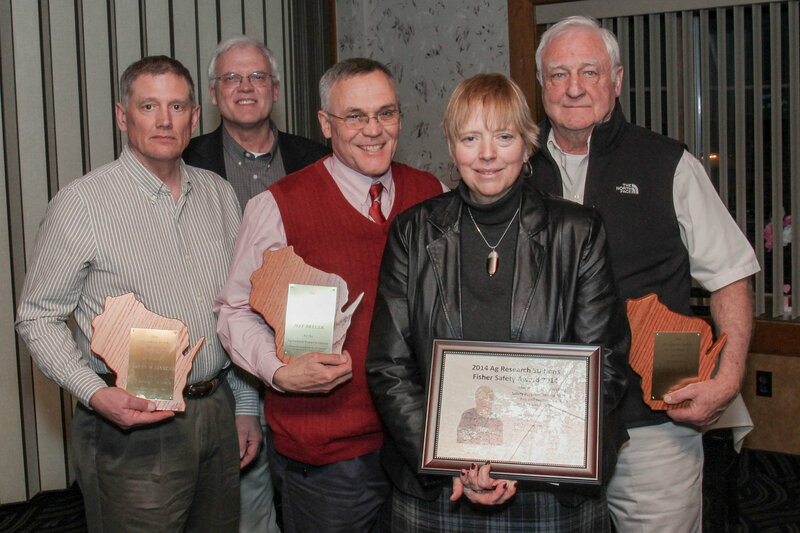 This year’s crop of ARS award winners were honored during the ARS Awards Reception and Dinner last Thursday. CALS photographer Sevie Kenyon snapped this photo of them with ARS superintendent Dwight Mueller right after the ceremony. From left to right: Bryan Jensen, Excellence in Research Award; Dwight Mueller, ARS superintendent; Jeff Breuer, Staff Recognition Award; Cheryl Skjolass, Fisher Safety Award; Norlan “Ben” Benevenga, Excellence in Service Award.